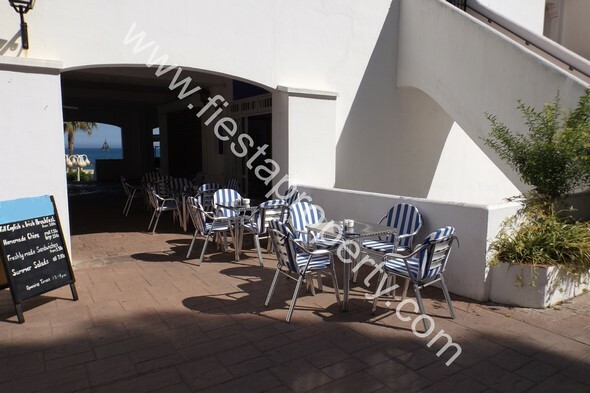 This cafe bar is situated in an area called Las Gaviotas which is part of Benalmadena Costa on the Costa del Sol. It is an area reached from the main road via a slip road. This takes you down to Las Gaviotas. It is an area of beach front bars and restaurants and gift shops. Some of the businesses are on two levels some further to the easterly direction are low level only. This particular business enjoys an elevated position at one of the entrances into the area. It is found immediately to the right of the main walkway to the elevated area. 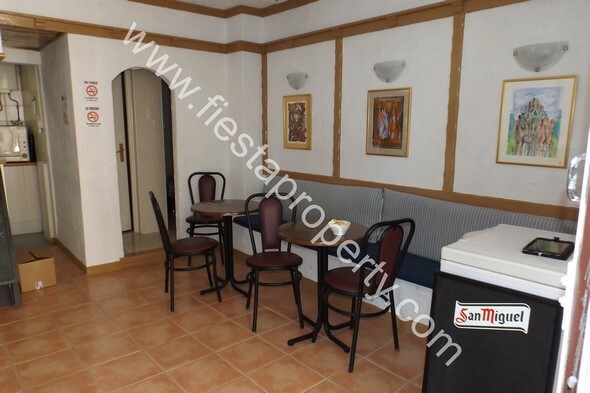 You are brought immediately onto the terrace where the current leaseholder has four tables. From here the clients can enjoy the view of the Mediterranean. It enjoys good footfall as clients enter this quaint area to soak up the atmosphere or just to sit and relax. Then through the slide back doors into the main bar area you will find an additional 4 tables and 12 chairs. 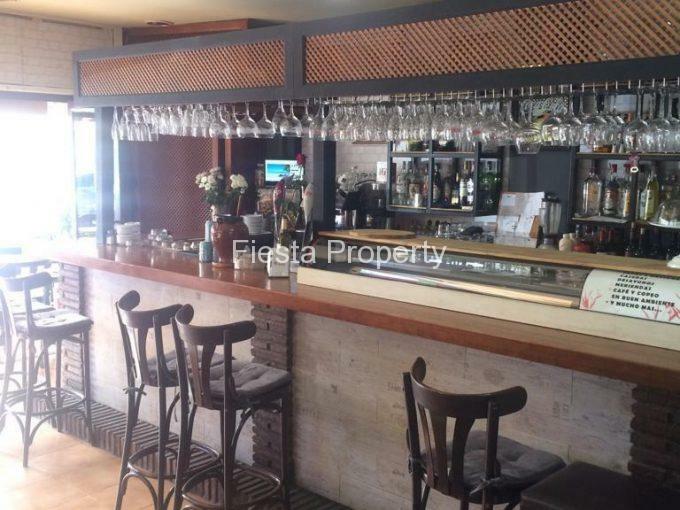 The entire interior decor is to a high standard and in a bright Andalucian finish. At the rear of the premises is the bar area. 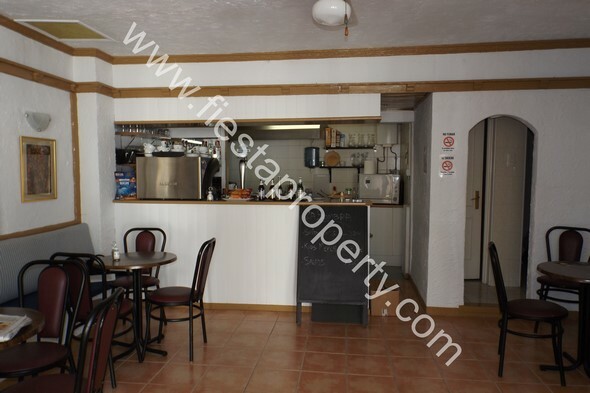 Again it is well maintained and includes a coffee machine, drinks fridge and a till. Behind the bar is the kitchen area which is more than suitable to cope with the snack menu currently being offered. 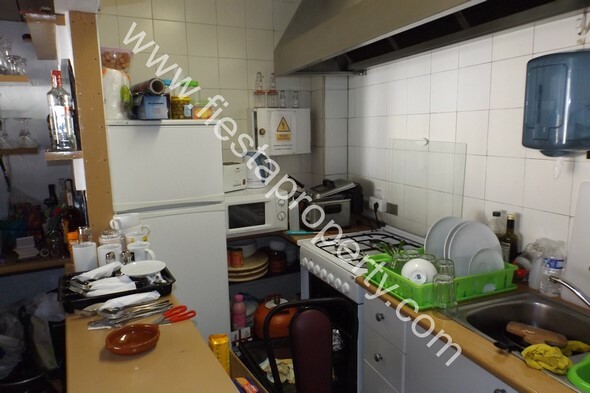 It is equipped with a fridge freezer, oven hob unit, microwave and a combi oven microwave – an extractor is also in place to comply with current local food laws. 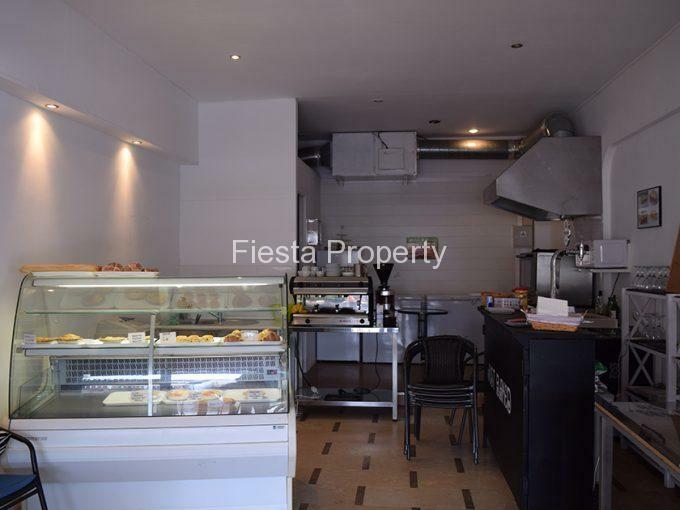 This is an ideal opportunity to run a cheap business without having to pay a monthly rent so contact Fiesta Property to arrange a viewing today.